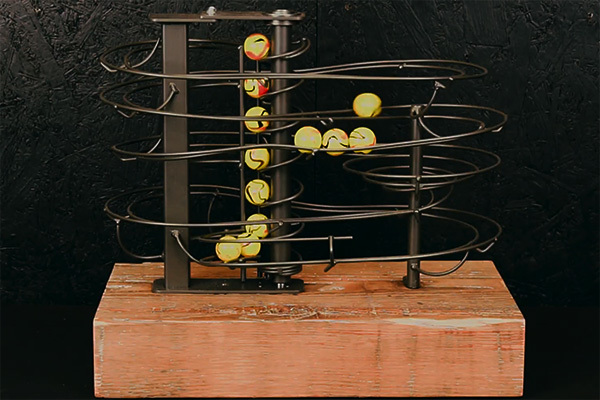 A single track desktop sculpture with a motorised helical lift. It measures 400mm x 350mm x 250mm and is powder coated in a Gun-Metal Kinetic Pearl powder coat. It incorporates a flat spiral and balls on track.